brake pedal pivot shaft nut 14-25 ft. lbs. 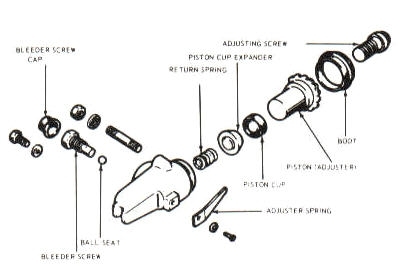 master cylinder mounting nuts 7-12 ft. lbs. power brake booster mounting nuts 12-17 ft. lbs. 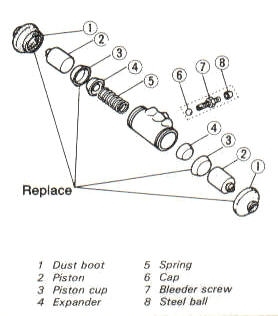 brake caliper mounting bolts 23-30 ft. lbs. caliper bracket-to-Steering knuckle bolts 36-55 ft. lbs. caliper inlet fitting bolt (1986 and later) 16-19 ft. lbs. disc-to-Hub bolts 33-42 ft. lbs. 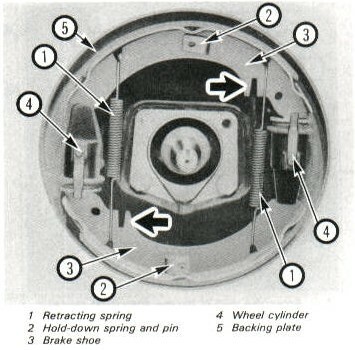 brake backing plate-to-Axle housing 1984 and earlier 33-36 ft. lbs. wheel cylinder mounting bolts duo-Servo arrangement 15-18 ft. lbs. leading/Trailing arrangement 9-12 ft. lbs. Fig. 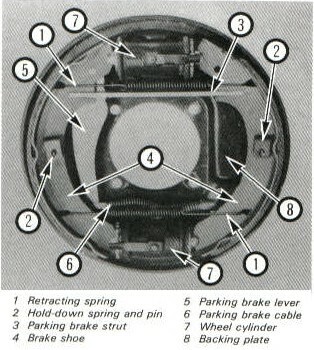 3 Front Drum Brake Assembly. Fig. 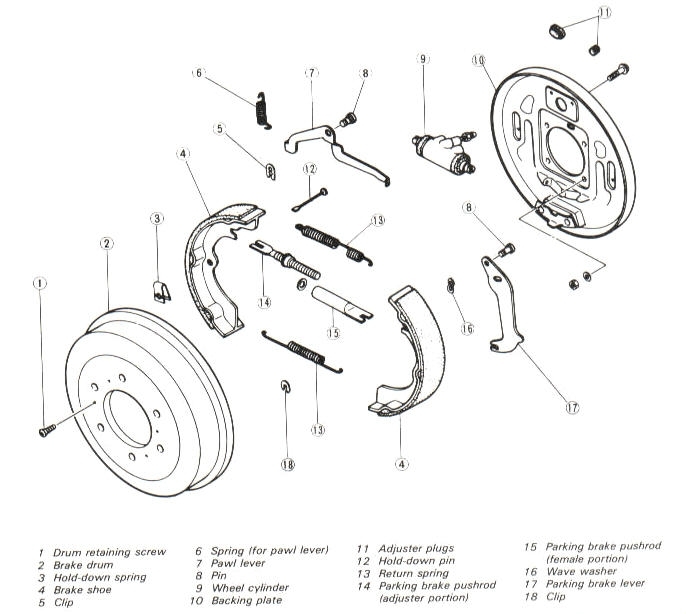 5 Leading/Trailing Style Rear Brake Drum Assembly. Fig. 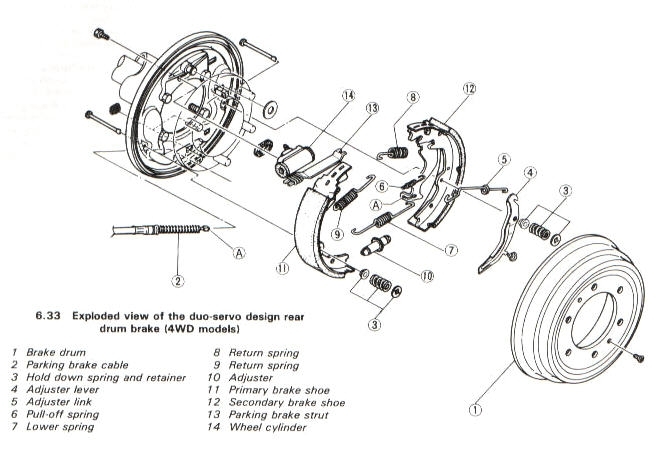 6 Dou-Servo Design Rear Brake Drum Assembly (4WD Models). Fig. 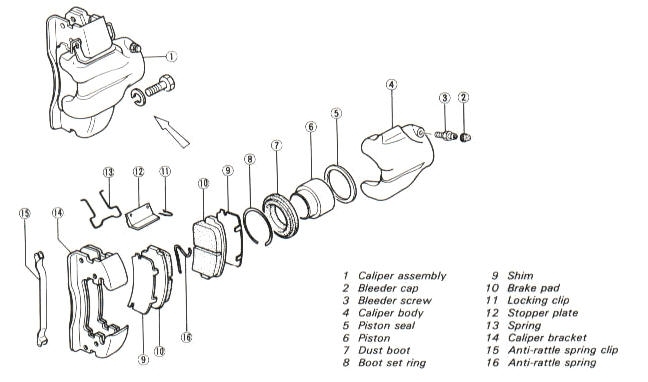 7 Front Wheel Cylinder Assembly (1977 And Earlier Models). Fig. 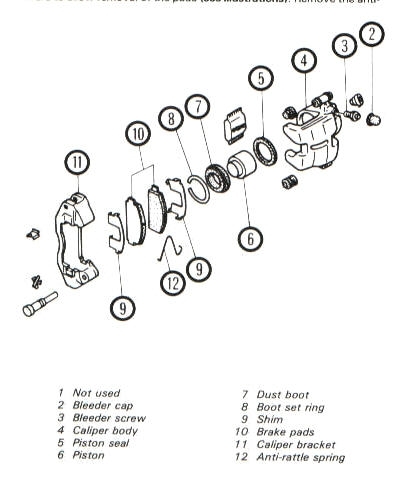 8 Rear Wheel Cylinder Assembly.